This is the 5th year Sail Carteret will participate in the Crystal Coast Boat Show. It has been a hit every year for all ages! 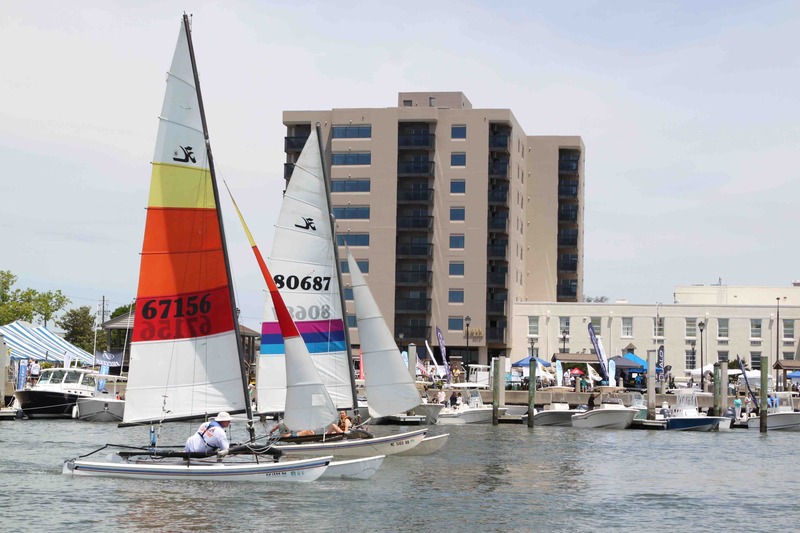 A variety beautiful sailboats will be out and about including races starting at 12 noon both Saturday and Sunday! If you have a boat, drag it down for the fun. If not, come on down for a free ride or to crew on someone else. If you are interested in racing, several boats will be looking for crew. See you at the 10th Street Beach!